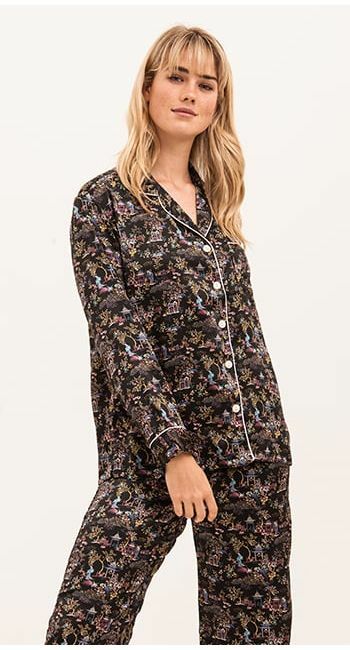 Striking silk pyjama bottoms displaying a beautiful Far East inspired Liberty print. Flattering straight leg pyjama bottoms with a flat fronted waist and elasticated back. Available in regular as well as longer lengths for the taller lady. This fabric is also available in a full pyjama set.